From left, Lawrence, Zoe and Andrea Charles spent years without a stable home. In a recent StoryCorps interview, Lawrence said of his daughter, "She's just starting to realize we're poor." Photo credit: Dan Lamont for Firesteel. 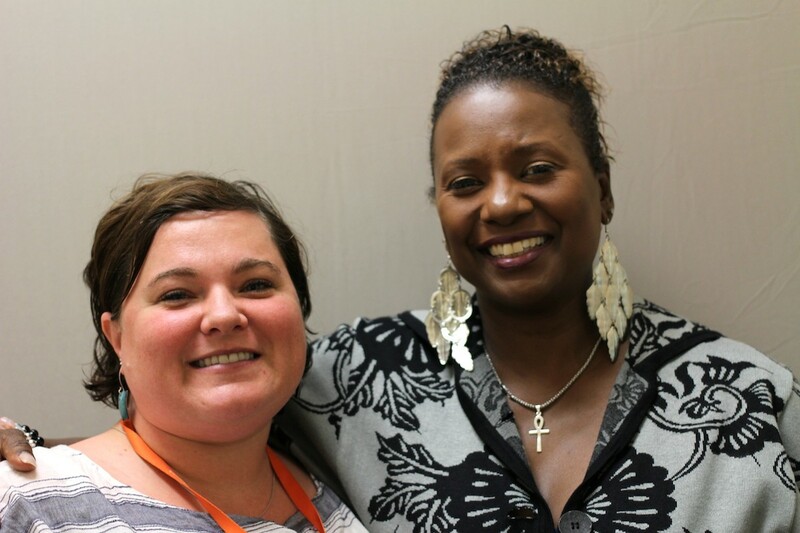 In a new story produced from the StoryCorps "Finding Our Way" project, Andrea and Lawrence Charles talk about protecting their daughter while experiencing homelessness. Listen to their conversation, and see photos by Dan Lamont documenting the Charles's everyday life as they transition from homelessness to stability. 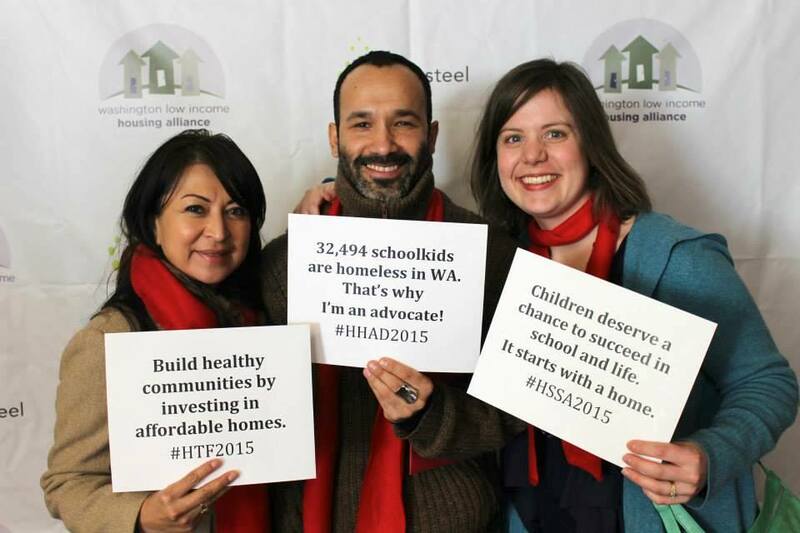 Advocates from across the state joined HHAD in person and in spirit. Many of them shared their messages at our photo booths in Olympia and at Seattle University! While we're still basking in the afterglow of Housing and Homelessness Advocacy Day, our advocacy coordinator shares some highlights from the event, as well as next steps for creating change! YWCA Seattle I King I Snohomish staff were joined by representatives from the Gates Foundation and Mayor Murray's office for the Jan. 22 One Night Count. Photo courtesy Erin Murphy. Our YWCA Seattle | King | Snohomish colleague Betty Jimerson is an energetic advocate who shares her personal story of family homelessness in order to help others. 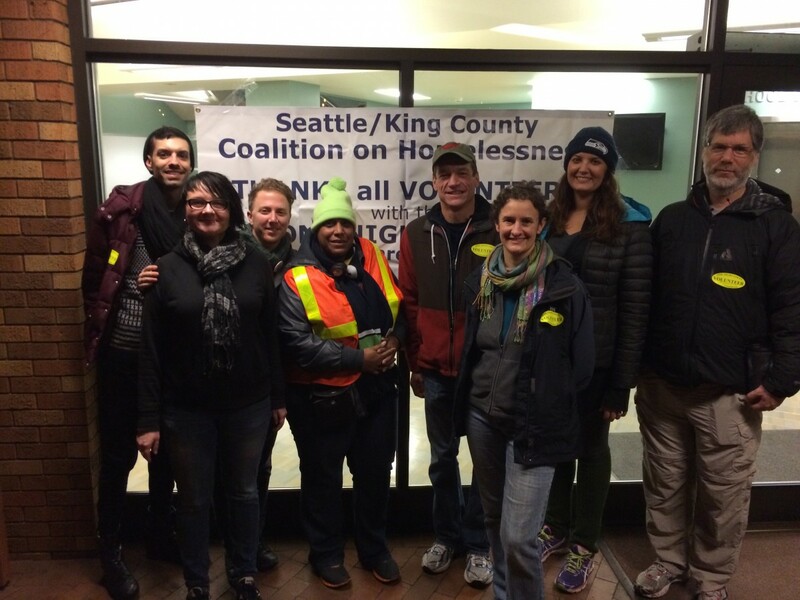 Read how activities like volunteering with the One Night Count, passing out sandwiches in downtown Seattle, and testifying in Olympia fit into her definition of advocacy. How can you tell a student is experiencing homelessness? There are a number of often-subtle clues, explains Dinah Ladd in the newest interview to come out of the StoryCorps "Finding Our Way" project.